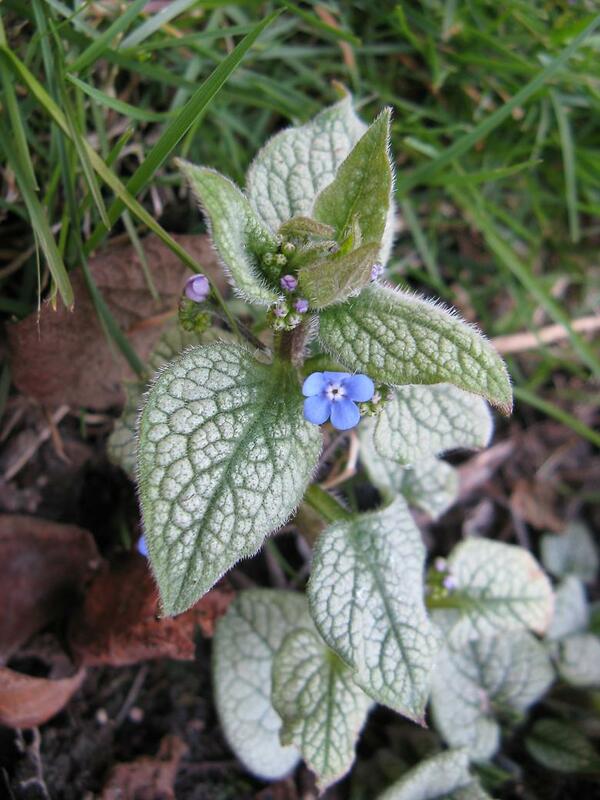 The original clump of Brunnera macrophylla 'Hadspen Cream' is flowering well as usual. I don't much like the variegated leaves on this, and I much prefer the silver leaved varieties. 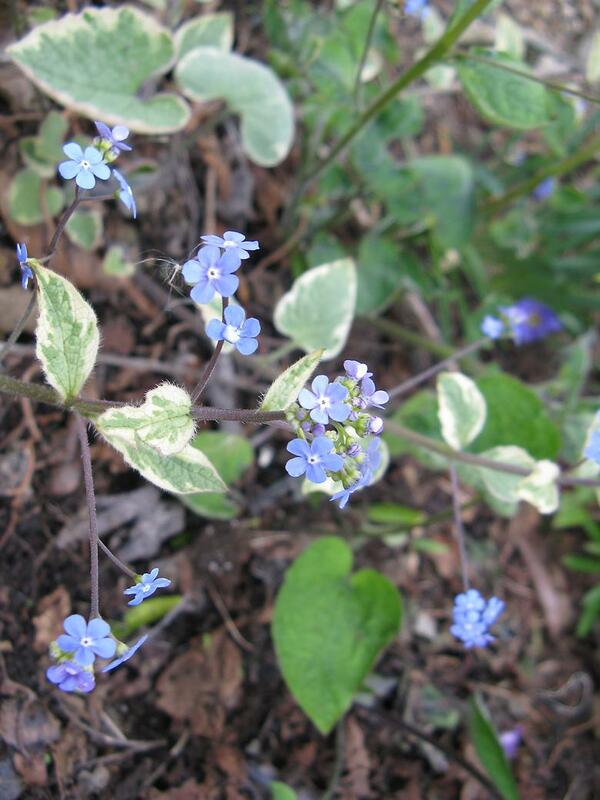 My Brunnera macrophylla 'Looking glass' which didn't flower at all last year is finally flowering this year. Apparently, although the silver leaved ones do not come true from seed, they are still somewhat silvery, so I am interested to try that out and see what I get. The existing daffodils are mostly out now. The large group by the left fence is much reduced this year. It is probably time to dig them up once they have died back and re-work that whole area. There have been the new 'Jetfire' daffodils, the first tulips, muscari and Pulmonaria flowering as seen in other posts this month. A much milder winter this year, so I'm not really expecting to be losing many plants. There are a few that didn't look so healthy last year so will be good to see them back. Right at the end of the month both the Actaea simplex plants and the Astilbe 'Ellie' appeared. The Helianthus and Lythrum have shoots that are barely above ground without leaves yet. I am missing the Phlox amplifolia that didn't seem too healthy after the long dry spell last year. 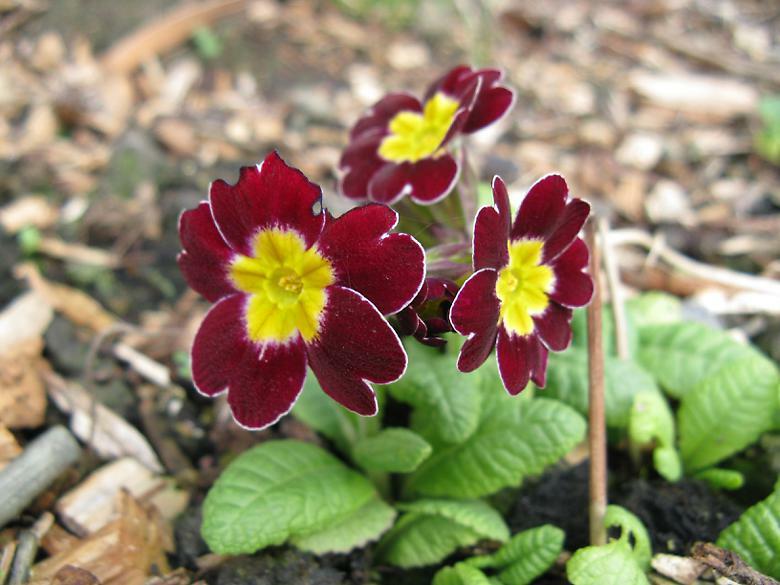 The Primula vialii has not appeared yet, but it was late last year too. There is no sign of the Lysimachia atropurpurea 'Beaujolais' but it is a biennial or short lived perennial (sources differ) so not entirely unexpected. All the other perennials have signs of growth. Several that are not evergreen had new growth at the bottom over the whole winter. 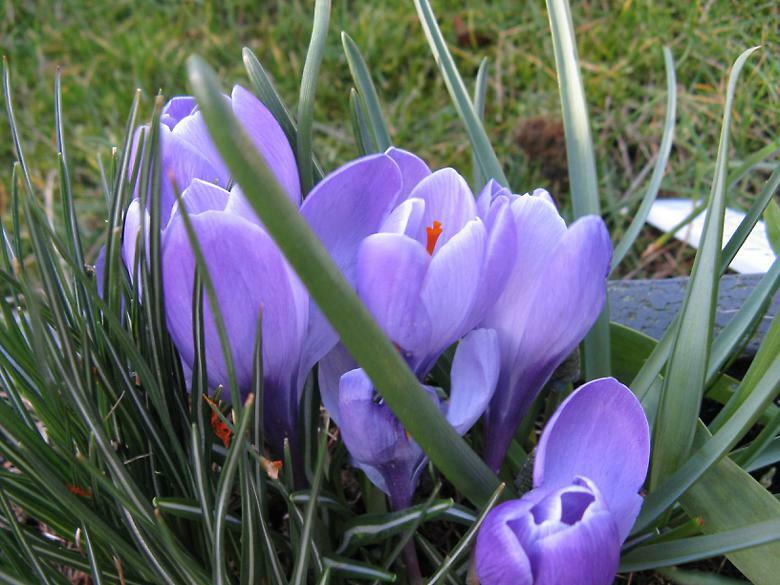 One set of daffodils is lagging far behind, flowers are barely out of the ground. There is no sign of the new Alliums as far as I can tell, there were 20 planted. The existing Alliums are also in short supply this year. 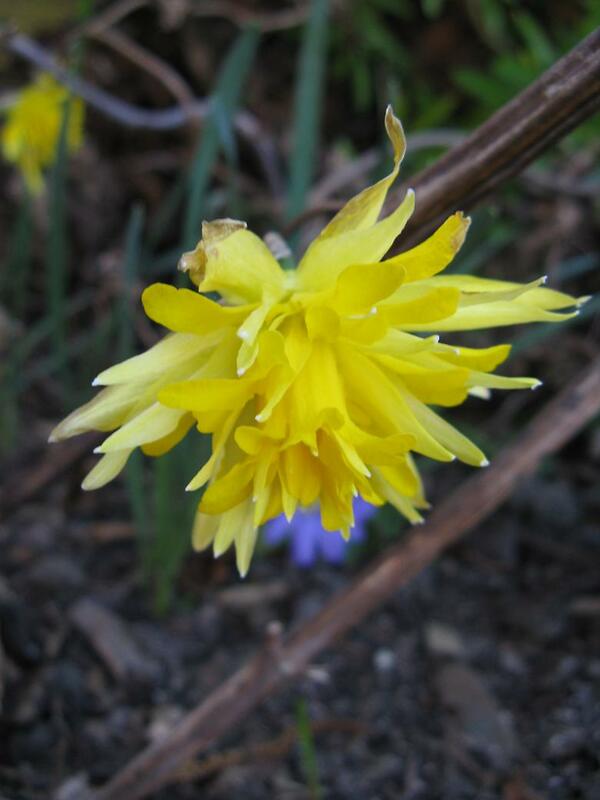 I also planted 100 new Anemone blanda and there is no sign of these. I planted them all over the garden, but there are none showing other than ones in the existing planted areas where the flowers have been out for weeks. There are still new ones appearing in these areas however so it possible that they will eventually appear elsewhere too. I've not quite given up on them. I planted two kinds of Ipheion and I am not convinced that all of them have grown, we shall have to see when they start flowering. One set had large bulbs, the other much smaller.